NOW EVEN CHEAPER! 1p price drop. Price & supplier updated, thanks to Bigcap for the heads-up. Cheaper & uk shipping. 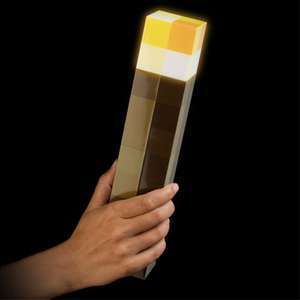 Inspired by the torch in Minecraft, this LED wall lamp is a replica of the torch in Minecraft. It can be wall mounted, sits on the desk or handheld. It is a perfect gift for fans of Minecraft. 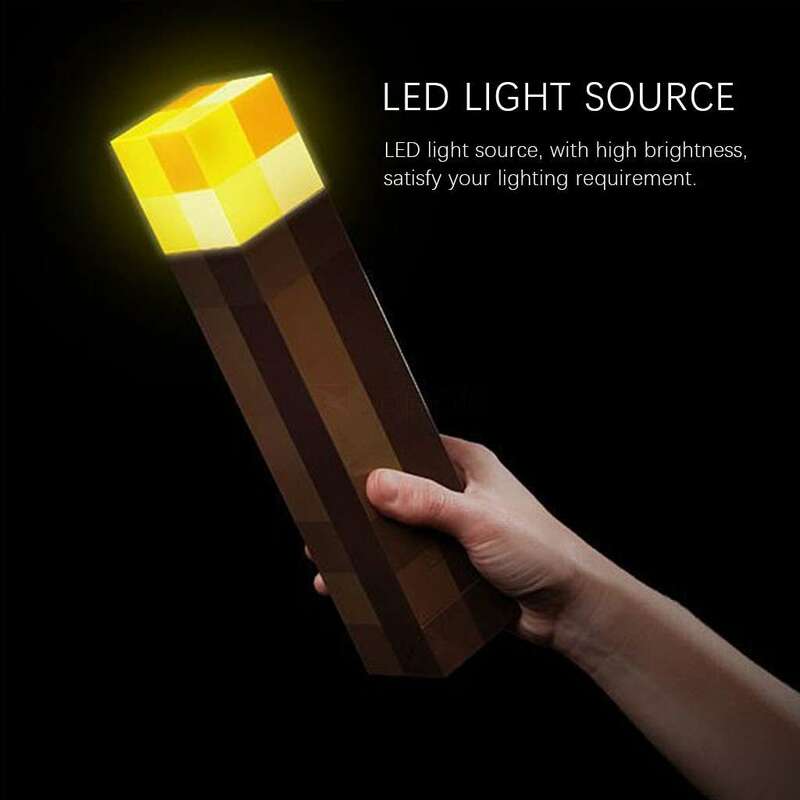 Minecraft torch design, perfect for fans of Minecraft. LED light source, with high brightness, satisfy your lighting requirement. With a triangle corner on the bottom, you can open it and then mount the torch on the wall. Easy to place, it can sit on the desk or you can hold it by your hand. Made of quality ABS material, with comfortable hand feel, can be a perfect decoration. Heat just because it looks cool. The mrs wouldn't let me have something like this! Heat just because it looks cool. The mrs wouldn't let me have something …Heat just because it looks cool. The mrs wouldn't let me have something like this! I quite fancy getting a load of them and putting them up down the hallway. Bought mine from eBay sub £9 Brand new. Still stock there. Came well packed in original box. Little lad loves it. Bought mine from eBay sub £9 Brand new. Still stock there. Came well …Bought mine from eBay sub £9 Brand new. Still stock there. Came well packed in original box. Little lad loves it. Order 10 and get rid of the wife.. problem solved!